We all love those beautiful nails shown in the nail paint commercials. But let’s face it. Those nails are better seen than possessed, due to the very fact that most of us are too lazy to grow them. Either they are chewed off during a nervous moment or are simply broken off when you least expect it. Call it laziness, or lack of Vitamin D, but long, strong beautiful nails at times do seem at times next to impossible. But is it truly that impossible? On second thoughts, it actually isn’t. 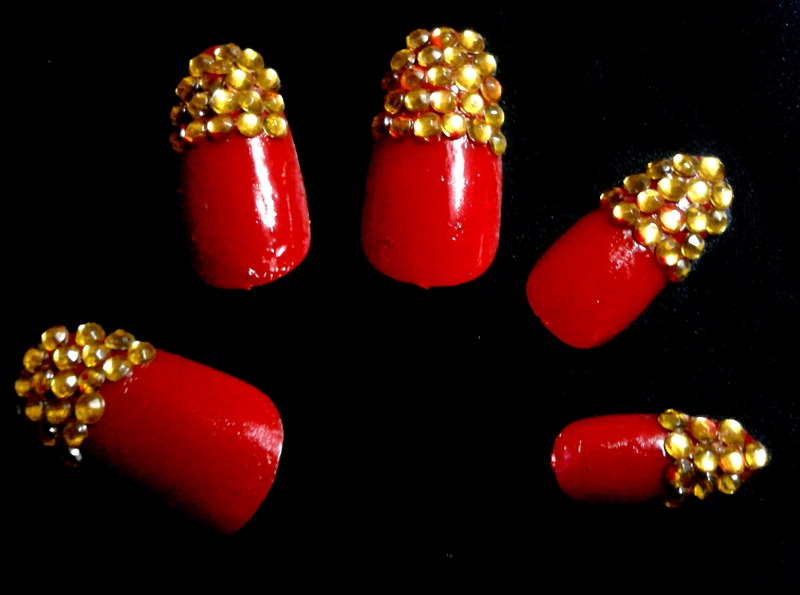 With the increasing number of Nail-Boutiques, nail art happens to be the next in-thing. But wait, Nail-boutiques? Isn’t that really expensive? Well, being a staunch follower of affordable fashion, I believe in “Create” rather than “Buy”. I spent one whole afternoon working on acrylic nails and loved what became of it. Trust me, it’s extremely simple and fun to make. Paint the nails generously. You’ll need to put a minimum of two coats of nail-paint. Before the paint dries out, place the jewel stones on the nails. You may choose any pattern you want. I decided to go for the French Manicure style. The wet nail paint works as an adhesive for the stones. If the paint seems to dry off re apply the nail paint over the required areas. Let the nails dry completely. 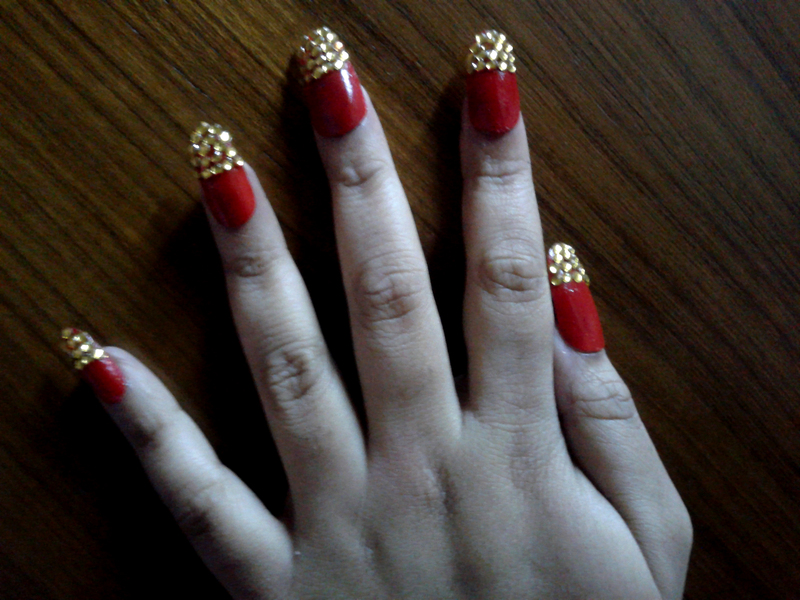 You can wear the nails with the help of the adhesive provided. If you are unable to remove the nails, soak your hands in cold water for some time. The nails will come out easily. Acrylic nails are brittle. So make sure you handle them with care. You can reuse the same nails for different nail art. Use nail polish remover to remove the nail paint. Next Get “Tressful” this summer!